Congress has passed and President Obama is expected to sign two bills related to looted art and the availability of U.S. courts to hear disputes over them. The Holocaust Expropriated Art Recovery (HEAR) Act of 2016 and the Foreign Cultural Exchange Jurisdictional Clarification Act (FCEJCA, for lack of a handy acronym) were both passed without objection both the House of Representatives on December 10, 2016, and are expected to be signed by President Obama shortly. The HEAR Act is a major shift in the law of Nazi-looted art claims specifically, while the FCEJCA is controversial but unlikely to have a broad impact one way or another. It is perhaps most remarkable that in an era of unique partisanship and political polarization, members of Congress from both parties and the President agreed on anything, let alone unanimously (sponsors include such unusual allies as Ted Cruz, Richard Blumenthal, John Cornyn, and Charles Schumer). Last month it was revealed that the British Museum had loaned a sculpture from the Parthenon, a/k/a Elgin, Marbles to the State Hermitage Museum in St. Petersburg. Reaction ranged from puzzlement to fury. 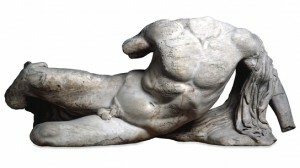 Lee Rosenbaum pondered whether the loan was in fact a trial balloon to prepare for litigation, specifically, to rebut Greece’s claim that the sculptures are a single unified work that should be returned with an argument that the collection of individual objects is more complicated. My reaction really boiled down to the “law” of unintended consequences: once the UK put any of the objects outside its territorial control—let alone in Russia, which has shown little interest in the niceties of international loans and restitution—the British Museum may find itself in a Portrait of Wally situation.